Massage therapy school graduates can take important certification exams to improve their employment prospects. 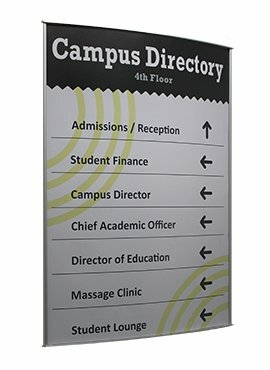 Any well-respected massage therapy school trains students in a number of different massage techniques so that massage therapy can be customized to the client’s needs. Many people think of massage therapy as something that takes place in luxury spa settings, but those who graduate from massage therapy school work in any number of environments, some of which are associated with traditional healthcare services. Physicians often recommend massage therapy for stress relief and lymphatic drainage. Massage in general includes pressing, rubbing, and manipulating skin, muscles, ligaments, and tendons, and massage therapists primarily use their hands and fingers for this. Pressure may range from very light to deep, depending on the goal of the massage therapy session. For reducing stress and muscle tension, few things are as effective as massage. Not surprisingly, many highly trained medical professionals themselves enjoy the benefits of massage therapy. There are many different types of massage therapy that students in massage therapy school learn and practice. Lymphatic drainage massage is a specialty type of massage therapy that was developed in Germany to treat the accumulation of fluid that can occur due to surgical removal of lymph nodes or other causes, like radiation treatment for cancer. This accumulation of fluid sometimes results in swelling and pain, and lymphatic drainage massage is specifically designed to reduce swelling and pain caused by accumulation of lymphatic fluids. Who Benefits from Lymphatic Drainage Massage? Lymphatic drainage massage is recommended for people who have accumulation of lymphatic fluid called lymphedema, which can cause significant discomfort. In these people, massage is beneficial, but traditional massage methods can be too forceful to ease discomfort. People who have surgery for cancer often develop lymphedema when lymph nodes are removed to be biopsied. The swelling may occur immediately after surgery, or may not occur until weeks or months later. Massage therapy in general is terrific for addressing stress and anxiety, and lymphatic drainage massage is no exception. Educational programs like Southern California Health Institute (SOCHi) provide training in traditional Swedish massage, Eastern massage, sports massage, trigger point therapy, and lymphatic drainage massage. In addition to learning massage skills, students take courses in anatomy and physiology, pathology, professional ethics, and business principles. Upon graduation from SOCHi’s massage therapy program, students can sit for various certification exams that will improve their employment prospects. Therapeutic massage may take place in any number of environments, including medical facilities like hospitals and long term care facilities. Wellness centers and pain clinics may employ massage therapists as well. Some massage therapists open their own standalone practices, and may practice in their own home or at clients’ homes. Fitness centers and spas are other work settings for massage therapists, and there are even corporate offices that hire on-site massage therapists for employees. As a massage therapist, you can find work in almost any type of setting or environment you prefer, from quiet and serene to bustling and dynamic. Would You Like to Work in the Healthcare Sector as a Massage Therapist? Massage therapists are expected to be in high demand over the next decade due to several factors. As more baby boomers reach retirement age, they will require more medical services, and doctors may encourage their patients to have massage therapy for conditions like lymphedema and for general stress relief. High powered executives are also discovering the benefits of massage therapy, and innovative start-up companies may have an on-site massage therapist right from the start for helping employees de-stress. 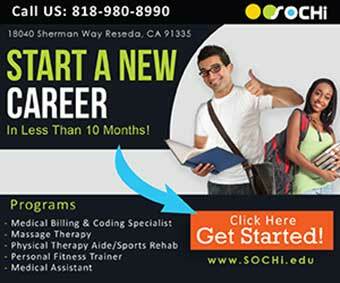 If you believe that attending massage therapy school and becoming a massage therapist would be a good career move, we invite you to apply to the Southern California Health Institute (SOCHi), where we have an outstanding curriculum that includes the right mix of classroom and hands-on learning.